First electric Astra in the world? At Dragon Electric Vehicles we specialise in the sale, repair and conversion of electric vehicles. 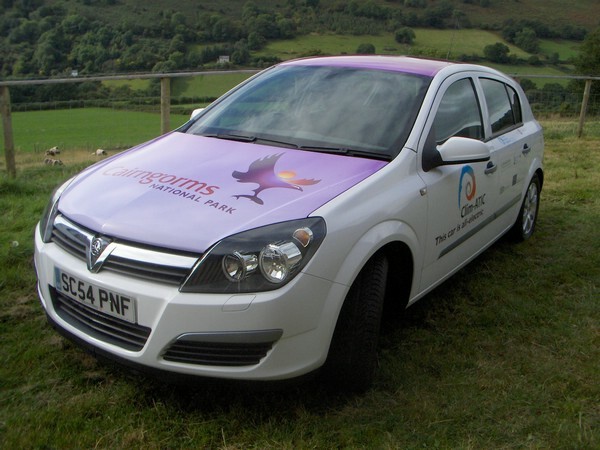 Our 80 mph, 150 mile range Vauxhall Astra project was completed in 2009 and the car is doing sterling duty for the Cairngorms National Parks. We offer our Cityvan range of very practical 'rascal' and 'transit' size vans with a good load capacity and 50 mile range. We are also agents for the impressive Mega City urban and commuter car. In addition we provide repairs and servicing for most EVs (including the G-Wizz); spare parts and batteries. Electric vehicles have been made since before petrol engines were used for cars. The lighter petrol engines could travel further than electric powered vehicles, so electric power was only retained for specialised vehicles such as the ubiquitous milk float. Modern power electronics and new light weight battery developments have vastly improved the performance and range of electric vehicles so that now they can represent a practical alternative to their highly polluting petrol and diesel counterparts. The progressive depletion of fossil fuel reserves means that oil prices will continue to rise in the future and is likely to be exacerbated by international security problems in the middle east. Electric cars powered by renewable electricity consume less than a quarter of the energy of fossil fuel powered cars and has a negligible effect on global warming. Applications range from road vehicles with a range of up to 200miles to electrically assisted push bicycles; from drag strip racers to off road vehicles. Our interests are not merely commercial, John Lilly, the proprietor of Dragon, has been committed to the environmental benefits of alternative transport for over two decades. John is a former chairman of the Battery Vehicle Society.